Ernest H. Klavon starved to death in December 1945. His starvation started in April, 1945, when troops from Soviet Union occupied Königsberg. It was the result of a deliberate policy designed to create misery among Germans living in East Prussia so that they would gladly leave when later ordered to do so. Klavon was a long-time employee of the German postal service. 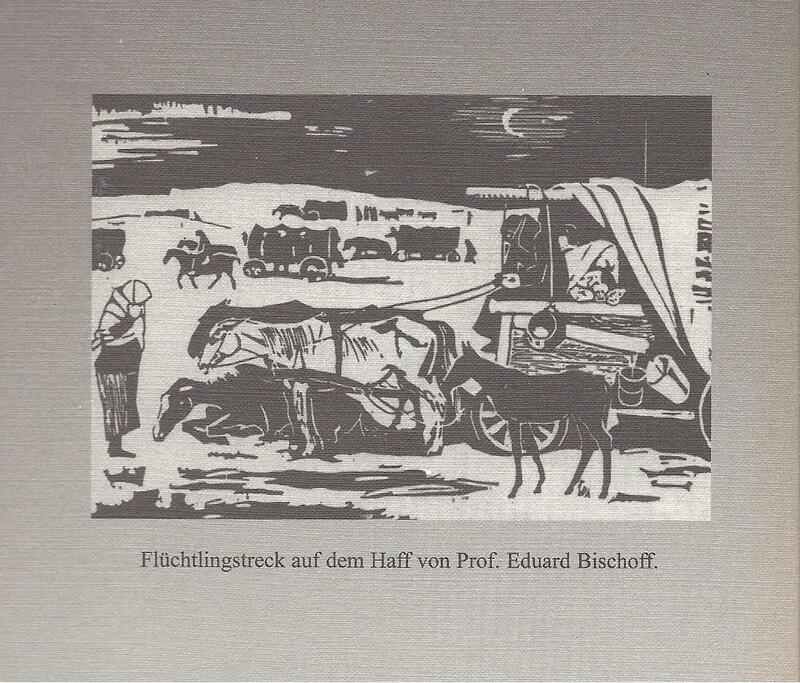 He had been postmaster in Bischhofsburg from 1925 to 1935 and in Gerdauer from 1935 to 1940. After that, he was a middle manager for the postal service in Königsberg, the capital of East Prussia, until March 1945, when he was sent to head post office #5. A month later the Soviet soldiers arrived and the starvation began. Klavon's wife did not hear of his fate for more than three years. His story was told after Germans were expelled from East Prussia in 1947 and 1948. Among those arriving in Germany were some of Klavon's colleagues who had witnessed what happened to him. Klavon's story is told in two documents. One is a letter to Mrs. Klavon in October 1948 telling her that her husband had starved to death. The second is a longer letter from Elisabeth Krause, a colleague and friend of Mr. Klavon, who knew first-hand what happened between April and December 1945. An excerpt from this letter was published in a newspaper, which I cannot identify. These two documents were taped inside a book that I recently bought (along with about 25 others) that had belonged to Ernest's son, Hans E. Klavon. Hans, who was a soldier in the German army during World War II, apparently immigrated to Canada after the war and lived a quiet life there. 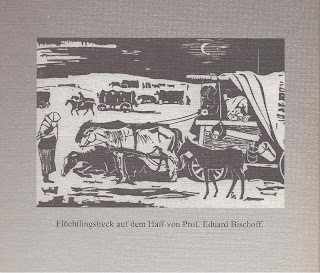 He collected books and materials on East Prussia and its history during and just after the end of WWII. I have close to twenty such books, all in German, that were in his library. 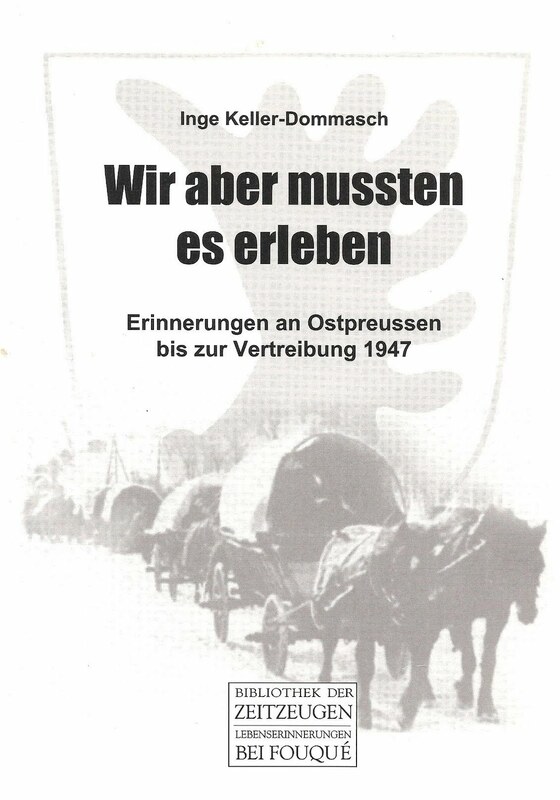 The title of the book in which the documents were found is "Die Lage der Deutschen in Königsberger Gebiet 1945-1948" (The Situation of Germans in the Königsberg Area, 1945-1948) by Gerhild Luschnat, Peter Lang publisher, 1995. This and the other books were purchased at "Read All About It," a used book store in Blaine, Washington. This material is an example of fascinating "found history" that sometimes appears when purchasing books, papers, post cards and other materials at garage sales, used book stores, and auctions, and on e-bay. It provides a brief look at the world from the life of a person you never met, who likely is no longer living, and who experienced things far beyond the realm of your reality. 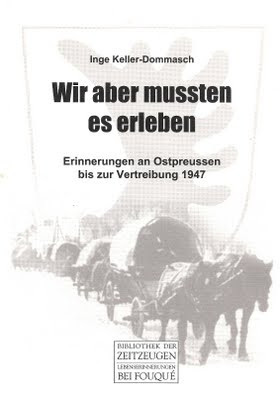 In this case, these letters made vivid the fact that suffering did not stop when WWII ended, but the lives of millions were made miserable by the policies and boundary changes that followed, especially those resulting in the mass expulsion of ethnic groups from places where they had lived for centuries.